After the first Town Hall meeting, we believe that saying is more than appropriate. 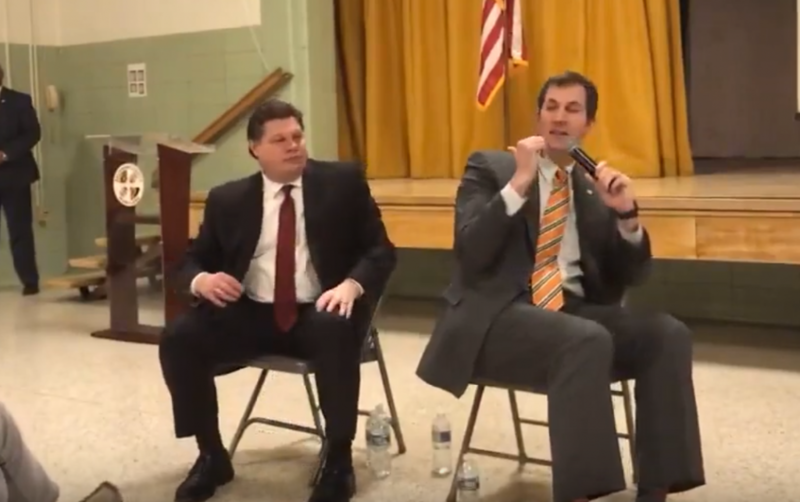 The Baltimore Post strongly believes that the taxpayers and citizens of the 7th District were fooled at the Town Hall. Let’s analyze exactly how this whole charade went down. First, we have to go back to the primary election when Johnny O was scheduled to debate his opponent, State Senator Jim Brochin, at the North Point Government Center. You may remember that Johnny O backed out of that debate at the last minute. But why did he back out of that debate? The Post believes it had to do with the NPGC, which was the focal point of a long-contested fight to save the focal point of Dundalk. The government center contained the local police precinct, a theater, numerous athletic fields, and open space. Remember, it was Johnny O’s father, John Olszewski, Sr., who was then serving as the councilman for the 7th District and voted for to sell the government center. Also backing the sale was the Dundalk Renaissance Corporation, which published several letters advocating space utilized for a retail box store. This set up a heated battle between the community and the politicians, including Councilman Todd Crandell, who backpedaled on his promise to defend the center against the sale. Ultimately the issue was decided, at least for the moment, by the Maryland Board of Public Works, which stopped the sale. There is still a lawsuit pending in the courts by the citizen’s group Dundalk United. One of the biggest disappointments of the evening was the almost deafening silence from the 7th District Community Council, led by Mr. Scott Pappas. Despite his promised bravado, Mr. Pappas did not bring up that important issue as he spoke. Although there were several other members of the group scattered throughout the audience, Mr. Pappas spent more time speaking about his own credentials than he did on the issues. Mr. Pappas was the last person to speak that evening, which can be viewed on the second video toward the very end. It seems as though everyone fell into line and pushed no real buttons, nor created any discourse that could have shined the spotlight on some very serious issues facing Baltimore County. The Baltimore Post strongly believes that moving the Town Hall from the heart of the 7th District to Essex was a direct attempt to avoid any controversy. Only a small portion of the 7th District sits in the Essex area. However, that area is overrun by a lot of political cronies. If you take the time to watch the two-part video from the meeting, the first thing you notice is the Core group touting its tremendous success in dealing with the rat population. Cliff O’Connell leads the Core group and is a big campaign contributor to Councilman Crandell. Following Mr. O’Connell’s accolades were other members of the Core group advocating the work of Baltimore County’s Code Enforcement department. As always, the Post attempts to find the truth. To be honest, despite Johnny O’s promise of transparency, we saw none of that. The Post contacted code enforcement and asked where the 7th District stands regarding the number of rat complaints in Baltimore County. We were immediately transferred to another extension. We again asked the question; we were asked how we got that extension. We explained the matter to the second person, but still did not get an answer to the question. The only answer we received was, as usual, “We will get back to you.” Anyone who follows our columns already knows that we will never receive a callback. In the world of politics, that is called ‘controlling the narrative.’ It means that whatever was said at that Town Hall Meeting could not be verified. Members of the audience asked some well-directed questions of both Johnny O and Councilman Crandell. One person, who is wheelchair bound, complained that he had to use the street because the sidewalks are in such deplorable condition. Other members of the audience continued to complain about the rat problem, school bullying, and crime. Amy Menzer, director of the DRC, was asking for more funds from the county. The DRC receives millions of dollars in grants from Baltimore County. Mrs. Menzer should know how much money she gets, and should know that asking for more is in poor form. Also, the money that Mrs. Menzer is seeking is already spoken for–it is going directly toward the infrastructure at Tradepoint Atlantic to the tune of $78 million. 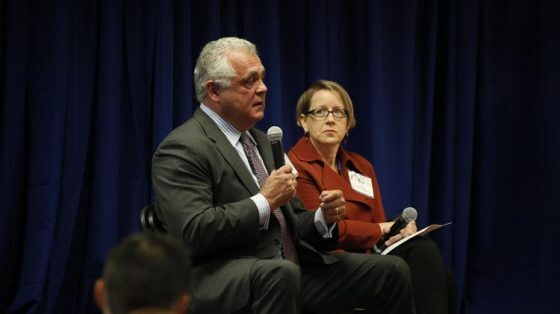 Sadly, not one issue or question was raised concerning the county’s pay-to-play development issues, school violence, or the fact that Baltimore County is possibly facing bankruptcy. Johnny O started the meeting with a benign question: “How many people have ever attended a county budget session?” Normally, only one or two people raise their hands when asked that question. The problem is that budget meetings are held at 2:00 PM, when most people are working or going to school. Transparency? Not in our county. Councilman Crandell also falls on the far side of transparency. The Post has sent Mr. Crandell countless emails concerning pay to play, campaign contributions, inappropriate actions by his staff members, school violence, and many other topics. We have never received a response from the councilman. The Post will have much more on this issue, including the Baltimore County Police Department and numerous Public Information Act requests that may directly challenge the myth that there is transparency in government.